A lot of security oriented cameras end up building around a wide angle lens. It makes sense. If you don’t know where something is going to happen, or you need to capture an entire room with a single camera, then a wide angle lens is probably your best choice. But when you know exactly where you need to record, it can make much more sense to have the lens focused right there. For people having conversations, for example, you definitely want a recording that’s focused on the person’s face, right? Not simply a shot of them inside of a room. Zetta’s Z18 Mini BLE HD Camcorder has a lot of different things going for it. 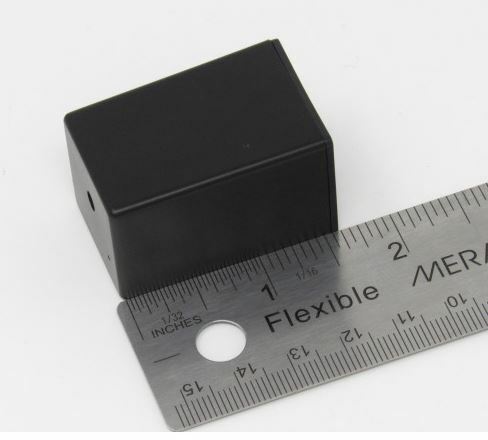 Like its name suggests, this camera was built with a highly compact design, which can be essential for a variety of different installation applications. In order that you don’t have to be bothered with micromanaging the data from your camera, you’ll notice the Z18 has a Bluetooth component. Just like the Zetta ZIR32 that we reviewed yesterday, the Z18 has plenty of extra things to offer. In fact, the only things the Z18 doesn’t really bring to the table is the sort expandability that doesn’t tend to concern many people. For instance, this isn’t the right camera to pick-up for someone who’s looking to run a second microphone along with their camera. Even installation is mostly pretty straightforward because the Z18 can work alongside essentially any type of common power bank. Once you’ve got things setup, basically everything about the Z18 is pretty hands-off since recording can be done on a 7-day circular cycle. That way, you don’t end up losing any footage over the course of a week. But still, there’s always room for improvement, and the Z18 has plenty of that. From a physical standpoint, the Z18 is incredibly compact. Measuring about 1 x 1 x 1.6 inches, sticking this camera into a small or tight location is really not a troubling task. Neither is carrying it on your person, or stowing it inside of a vehicle. But size has its trade-offs. Because you’re dealing with such a small camera, virtually all of the control options are done through a wireless connection. For some people, that’s good news. For others, it’s a minor inconvenience. But that’s somewhat unavoidable when dealing with a small camcorder like the Z18 Mini. The chassis isn’t quite indestructible, but it’s impact resistant. If you did manage to drop the Z18, the lightweight nature of the device would largely prevent the superficial scratching from being damaging, too. But like basically any piece of electronic equipment, it’s better if you treat the Z18 as being more fragile than it really is. As mentioned earlier, the Z18 includes a smartphone-friendly Bluetooth design, allowing you to change settings of your camera’s settings at a moment’s notice, and in real time. You’ve just got to download their DVR widget through an app store, it’s free, and the app has wide support on both Android and iOS. In terms of actually using the app, it’s fair to say their app isn’t going to blow you away. The whole thing is pretty basic. But it’s also pretty intuitive, which helps you extend even more control over the Z18 BLE HD Camcorder. Provided that you know which recording modes will work best for your circumstances. Like basically any similar HD camcorder, the Z18 includes motion sensing technologies. But the motion sensors aren’t sophisticated by modern standards. You can’t get in the app to start setting up elaborate motion detection zones, or train the sensor to ignore household pets. 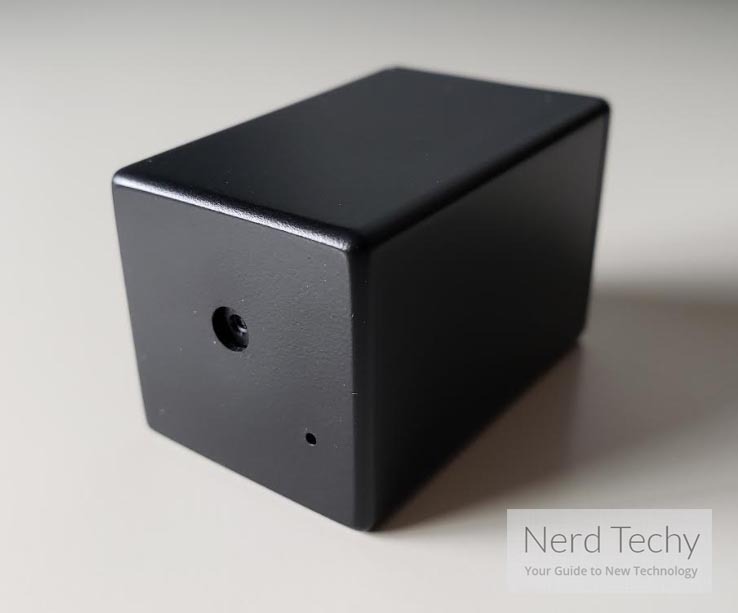 Rather, it’s a pretty straightforward motion sensor without any AI support. 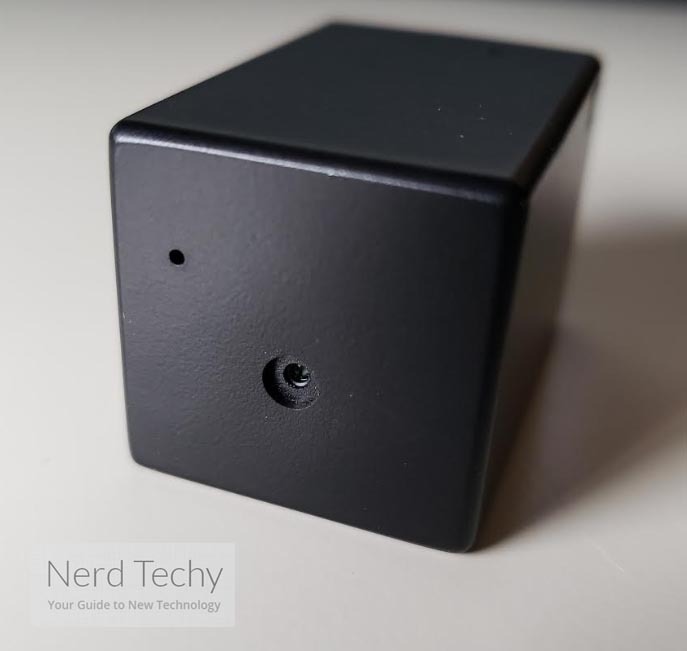 On a different camera that would be more of an issue, but the Zetta Z18 includes a number of alternative ways to trigger recording that would generally make a more robust motion sensor a little bit redundant. For instance, recording can be triggered by vibration. That happens to be particularly good for using inside or around a vehicle. And the Z18 can support around 15 days of standby time when using that mode. That’s less than other modes because the vibration sensor chews through a little bit more battery power, but the difference isn’t night and day. Speaking of using the camera in cars, there are several auto-start modes that can help you connect the 5V DC adapter and configure it for car-start or car-stop recording. Pretty handy for people who are thinking about getting their Z18 inside of a vehicle, perhaps looking squarely at the driver. Apart from that, it’s worth noting the Z18 supports reasonably good low light vision. That’s largely due to the inclusion of a highly sensitive sensor. That sensor is sensitive to 3.3V/lux-sec, which compares well with most modern dash cams and other outdoor security recording equipment. Though it’s not exactly super-powered. If you want to view well beyond 15ft then you really need equipment specialized for viewing in the dark. This sensor works pretty well in a range of around 9ft to 15ft, but it doesn’t work much further than that. Using standard recording settings, about 1GB of storage space is capable of recording nearly an entire hour of video content. Using a 256GB card, you can get around 11 days of uninterrupted content saved on the card. But with customized settings, you can do far, far better. On the other hand, if you don’t want to be very hands-in with your recording, then it’s possible to make use of circular recording features. Those will automatically begin overwriting the oldest footage on the card. That way if you don’t have reason to use your old footage, you don’t even have to actually go back and bother with deleting it yourself. 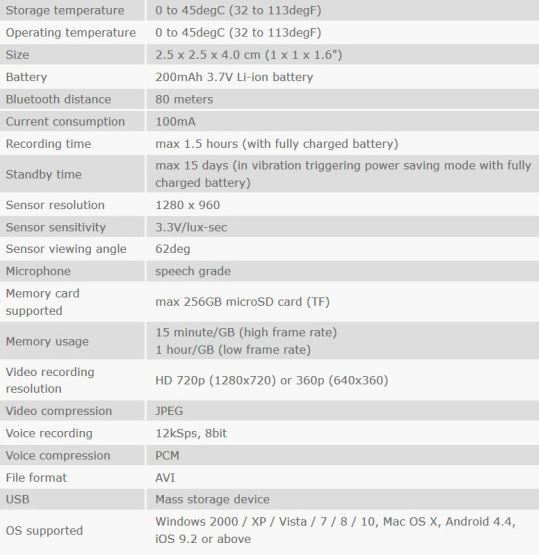 Video can be recorded in either 720p HD, or down at a lower resolution of 640 x 360 – which is 360p. If you can stomach the lower resolution, and the recording tasks you have in mind allow for the use of a smaller resolution, then you’ll find you can save an enormous amount of storage space by running at 360p. You can also save data by moving between the high framerate and low framerate settings. The higher framerate setting isn’t actually that high, it’s up around 30fps. A little bit higher than broadcast TV. The low framerate looks more like a choppy webcam in term of its performance; it’s down in the neighborhood of 15fps. That’s workable for people who don’t need butter-smooth fluidity in their recordings. For everyone else, the 720p and 30fps mode doesn’t really go through much bandwidth when you’ve got an adequately sized storage card. The viewing angle of the lens is a relatively narrow 62-degrees. That means this camcorder isn’t exactly intended to capture a wide and expensive view of the road. It’s more like a camera that knows exactly where it should be pointed. It might be good for pointing directly at a doorway, for example. Or an area where you hope to capture a shot of someone’s face. Videos come out in standard AVI format, using JPEG and PCM compression. So your files don’t end up taking that much space, at least relative to the amount of data you’re saving. Moreover, you don’t have to worry about compatibility issues as you move between platforms. Going from Windows to Apple, you ought to find the transition goes smoothly. 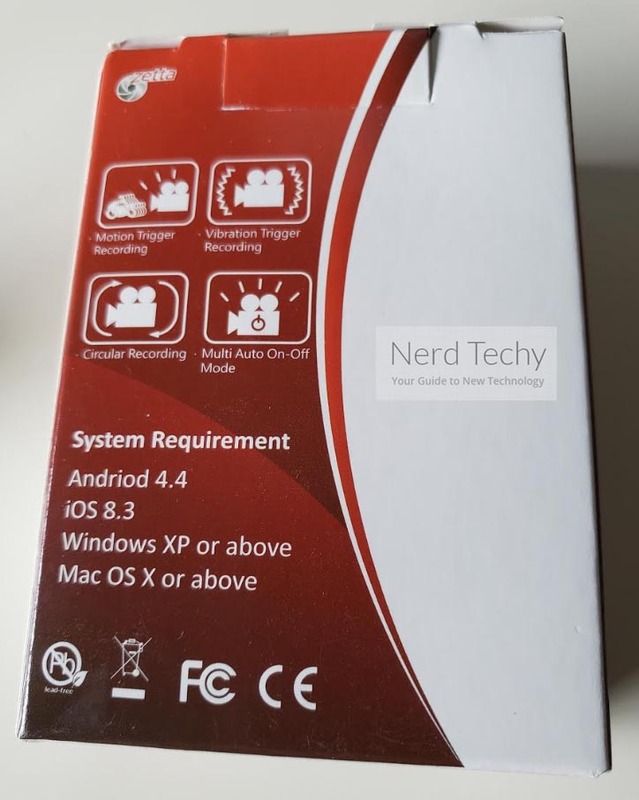 There’s also support for Android, meaning you won’t have trouble connecting with basically any smartphone or tablet. Unfortunately, the battery does provide a few limitations. That’s because the Z18 was constructed around a 200mAh lithium-ion battery, which is pretty small for a camera like this. Similar to a spy pen camera, Zetta went with a smaller battery to help maintain the exceptionally small size of this device, so it’s hard to complain about the battery having realistic limitations. You’ll find the battery that can run 90 minutes under most circumstances. When you start messing with your settings, it’s possible to push that timer up a few minutes or down a few minutes. But the 90-minute estimate is pretty close to home. The microphone used in the Z18 was made to capture speech specifically, but it isn’t spectacular at eliminating noise or otherwise coping with poor microphone placement. That’s a limitation that you’ll find pretty much across the board for equipment like this. Though it can be alleviated if you’re interested in running a separate microphone to a separate location, and making your setup far more complex and expensive. It’s typically much easier to try and find a more workable location for a basic microphone, like the one used by the Z18. Once you’ve got data recorded on your card, it’s possible to save your video into 10, 15, and 20-minute interval clips. That makes them much easier for uploading to the internet, or otherwise sharing them. In a lot of cases, it can also help you skip the step of having to actually edit your video footage with the assistance of some type of editing software. When you’re using the wireless connectivity options, Bluetooth allows for about 250ft of connection distance. Nothing to complain about there, for sure. 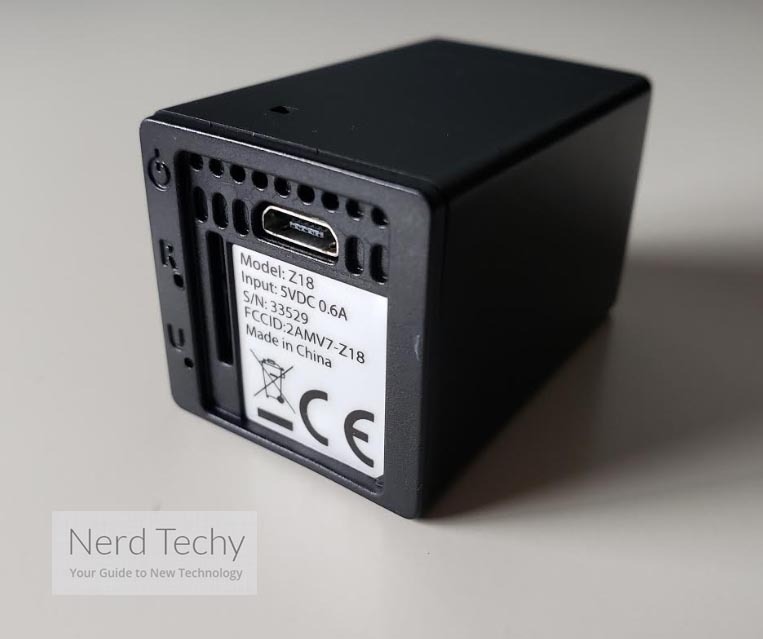 In terms of extras, the Z18 includes a USB 2.0 cable for power and data transmission and a quick start guide. As is often the case, the quick start guide isn’t full of too much useful information. But if you’ve never used a device like the Z18, it can help initiate you the setup process pretty quickly. Who Should Choose the Zetta Z18 Mini BLE HD Camcorder? The Z18 could be used in a lot of different ways. You probably wouldn’t use it as a dash cam due to the relatively narrow focus on the lens, but you might use it for home surveillance, or you might even use it for security in commercial settings. With equipment that’s as adaptable as this, it wouldn’t be hard to think of a few ways of just having some fun with the Z18, too. Sure, the Zetta Z18 Mini BLE HD Camcorder has a few weaknesses. But they’re actually more like tradeoffs. 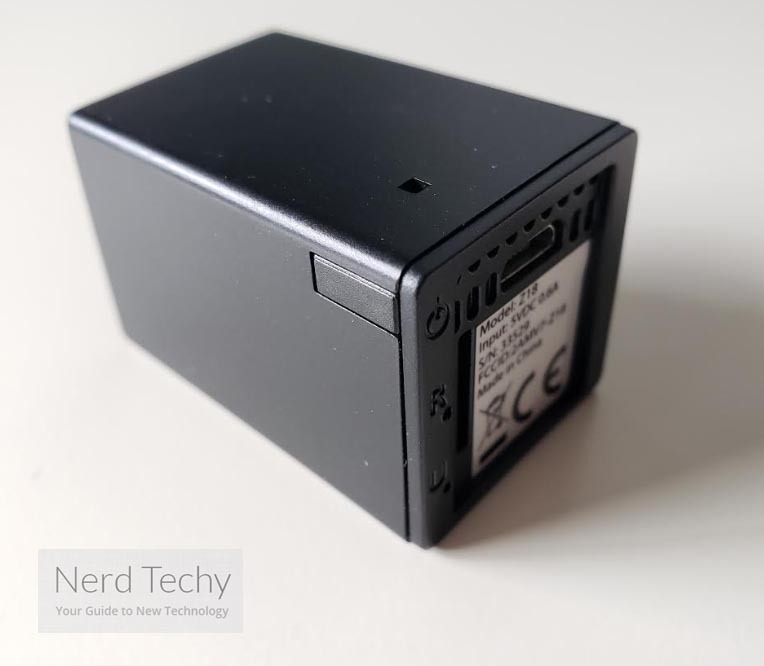 For example, the 90-minutes battery lifespan isn’t going to impress many people, but the tiny form factor just might. And you can’t get one without the other. At least, not until scientists develop some even more amazing batteries. 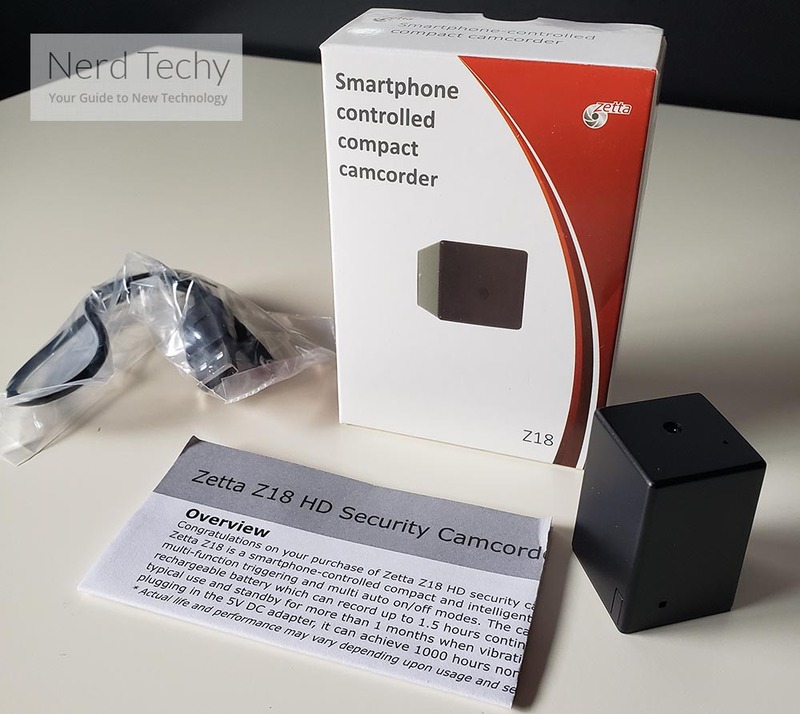 Until then, for someone who’s looking for a highly compact and portable camcorder, the Zetta Z18 Mini BLE HD Camcorder is probably worth a close look.